Better be safe than sorry. 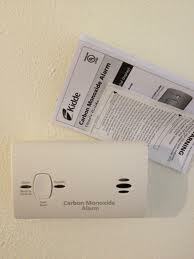 For my Final Technical Writing Project I will show you how to install an important device called a Carbon Monoxide Alarm/detector. During the period from 1999 to 2004, an average of 439 persons died annually from unintentional, non–fire-related CO poisoning, and the national average annual death rate was 1.5 per million persons. However, rates varied by demographic subgroup, month of the year, and state. Rates were highest among adults aged > 65 years, men, non-Hispanic whites, and non-Hispanic blacks. The average number of deaths was highest during January. Among the states, Nebraska had the highest reliable CO mortality rate. These findings indicate that improved population-based prevention measures, including educating the public about the dangers of CO exposure, are needed at the state and national levels. With this the FDNY requires that a Carbon Monoxide alarm/detector must be in every home. Enjoy! !